§ 191-3 Adoption of state fire prevention regulations. § 191-4 Adoption of NFPA publications. § 191-5 Liability for damages. § 191-6 Service of orders. § 191-9 Violations and penalties. § 191-11 Authority of Fire Chief to order compliance; closing and vacating buildings. § 191-12 Investigation of fires; police powers. § 191-13 Automatic fire sprinkler protection. § 191-14 Automatic fire protection for cooking areas. § 191-15 Miscellaneous construction provisions. § 191-16 Securing fire-damaged buildings. § 191-17 Fees relating to fire protection systems. § 191-22 General prohibition on open burning, outdoor burning and refuse burning. § 191-23 Materials that may not be burned. § 191-24 Burning leaves, brush, clean wood and other vegetative debris. § 191-26 Fire Department practice burns. § 191-27 Exemption for burning certain papers. § 191-29 Right of entry and inspection. § 191-30 Violations and penalties. Fire Department — See Ch. 24, Art. I. Alarm systems — See Ch. 129. Construction standards — See Ch. 164. Explosives — See Ch. 182. Intent. It is the purpose of this code to provide the municipality with rules and regulations to improve public safety by promoting the control of fire hazards and life safety; regulating the installation, use and maintenance of equipment; regulating the use of structures, occupancies and open areas; providing for the removal of fire hazards; establishing the responsibilities and procedures for code enforcement; and setting the minimum standards for compliance and achievement of these objectives. General. The provisions of this code shall apply to all public buildings and places of employment. One- and two-family dwellings. Exceptions: § 191-16 of this Fire Prevention Code. Buildings used exclusively for farming as described in § 102.04(3), Wis. Stats. The provisions of this code shall apply equally to public and private property, they shall apply to all structures whether existing or new and they shall apply to the owner of the property as well as the occupant. The provisions of this code shall apply equally to new and existing conditions, except that existing conditions not in strict compliance with the terms of this code shall be permitted to continue where the exceptions do not constitute a distinct hazard to life or adjoining property or have been superseded by this code. Exceptions. Nothing contained in this section shall be construed as applying to the transportation of any article or thing shipped in conformity with the regulations prescribed by the Interstate Commerce Commission or as applying to the military forces of the United States. Plan submittal. Any time that an automatic fire protection system is installed, altered, added on to, or has appliances removed, plans shall be submitted to the AHJ for review and conditional approval. All plans for automatic fire protection systems must meet or exceed State of Wisconsin SPS and applicable NFPA requirements and shall be submitted for review to the Fire Department, Bureau of Fire Prevention, prior to the installation of the equipment. All plan reviews are based on information provided. All plan reviews are done for general code compliance only. This plan review does not relieve or limit the responsibility and/or liability of the fire protection contractor, architect, engineer, designer or any other responsible party for the protection system(s) reviewed. The municipality or any of its agents and/or firm or persons hired by the municipality to review plans are not responsible for and do not accept any responsibility and/or liability for the fire protection system(s) indicated on the plans reviewed. Permit required. Any time that an automatic fire protection system is installed in new construction or altered in existing occupancies a permit must be obtained prior to the start of installation. Permits will only be issued after the required automatic fire detection and/or extinguishing system plans and/or specifications have been reviewed and conditionally approved by the AHJ. Additions to, change of use or remodeled buildings. If 50% or more of the total floor area of a building is remodeled and/or added, the entire building shall be brought into compliance with the requirements of this code. If 25% to 49% of the total floor area of a building is remodeled and/or added, that part of the building which is remodeled and/or added shall be brought into compliance with the requirements of this code. If less than 25% of the total floor area of a building is remodeled and/or added, the requirements in this Fire Prevention Code need not be provided unless the area includes dwelling units. If the total floor area includes dwelling units, that part of the building which is remodeled and/or added shall be brought into compliance with this code. All percentages of additions or remodeling shall be additive as applied to Subsection G(1), (2) and (3) above. Right of entry. The AHJ may, at all reasonable hours, enter any building or premises, except the interior of private dwellings, within its jurisdiction for the purposes of making any inspection or investigation which, under the provision of this code, it shall deem necessary. The owner or occupant of any premises who refuses to permit, prevents or interferes with entry into or upon the premises by any inspector shall be guilty of violating this code and shall be subject to fines. The AHJ shall inspect, or cause to be inspected, all buildings and premises, except interiors of dwelling units (not including rooming houses), as often as may be necessary, but not less than once a year, for the purpose of ascertaining and causing to be corrected any conditions liable to cause fire, or any violations of the provisions or intent of this code and any other code affecting the fire hazard, and to ensure compliance in all phases of assembly with all laws, regulations and orders dealing with overcrowding, use of decorative materials, maintenance of exitways and maintenance of fire alarm and fire detection systems and fire-extinguishing systems and appliances. The AHJ, upon the complaint of any person or whenever it shall deem necessary, shall inspect any building and premises within its jurisdiction. Dangerous or unlawful amounts of flammable, combustible or explosive material as determined by the AHJ. Hazardous conditions arising from defective or improperly installed equipment for handling or using flammable, combustible or explosive material as determined by the AHJ. Dangerous accumulations of rubbish, wastepaper, boxes, shavings, or other highly flammable materials as determined by the AHJ. Accumulations of dust, grease, or waste materials in air-conditioning systems, exhaust ducts or hoods. Obstructions, including snow, to or in fire escapes, stairs, passageways, doors, or windows, liable to interfere with the operation of the Fire Department or egress of occupants in case of fire. Any building, structure, or premises which for want of repairs, lack of exit facilities, fire alarm apparatus or fire-extinguishing equipment or by reason of age or dilapidated condition, or from any cause, creates a fire hazard. Owner's name, address and phone number(s). Agent's name, address and phone number(s). Other information as required by the AHJ. All information within Subsection J(1). Service company name, address and phone number(s). Unless otherwise expressly stated, the following terms shall, for the purpose of this code, have the meaning indicated in this section. Other terms not defined herein used in this code shall be as defined in the International Fire Code Section 202 which is adopted herein by reference. A steel key vault, mounted on the exterior of a building, that contains keys, floor plans, maps, or other items as required by the AHJ for access to all portions of the building. Any place that receives at any time for compensation four or more adults, for care and supervision, for less than 24 hours a day. Similar to a CBRF except that it is licensed for five or fewer tenants. Approval by the Chief of the Fire Department or Inspector/Fire Officer of the Bureau of Fire Prevention, in accordance with the provisions of this code, as applied to material, device or mode of construction. Acceptable to the code official. An agency accepted or acceptable to the Bureau of Fire Prevention, such as Underwriters' Laboratories, Inc., the National Institute of Standards and Technology, the American Gas Association laboratories or other nationally recognized testing authorities. Group A occupancies include, among others, the use of a building or structure, or a portion thereof, for the gathering together of persons for purposes such as civic, social or religious functions, recreation, food or drink consumption or awaiting transportation. A room or space used for assembly purposes by fewer than 50 persons and accessory to another occupancy shall be included as a part of that occupancy. A-1: Assembly uses, usually with fixed seating, intended for the production and viewing of performing arts or motion pictures. A-2: Assembly uses intended for food and/or drink consumption. A-3: Assembly uses intended for worship, recreation or amusement and other assembly uses not classified elsewhere in Group A.
A-4: Assembly uses intended for viewing of indoor sporting events and activities with spectator seating. A-5: Assembly uses intended for participation in or viewing outdoor activities. Assembly occupancy shall be designated as adopted by reference in NFPA 101, 7.3.1, Capacity and means of egress, and all relational subsections, for determining capacity. The Fire Chief or designee of the Fire Chief to enforce this Fire Prevention Code, the laws of the State of Wisconsin, as designated in § SPS 314.01(13), Wis. Adm. Code, pertaining to the prevention of fires and public safety, and approving equipment installation, or procedure as outlined in NFPA standards, codes and/or recommended practices. One which functions without human intervention and is actuated as a result of predetermined temperature rise, rate of rise of temperature, combustion products or smoke density. A system which automatically detects fire conditions and actuates notification appliances throughout the protected premises. A device designed to detect specific products of fire: smoke, heat or both. An approved system of devices and equipment which automatically detects a fire and discharges an approved fire-extinguishing agent onto or in the area of fire. An integrated system of underground or overhead piping designed in accordance with fire protection standards. The system includes a suitable water supply. The portion of the system above ground is a network of specially sized or hydraulically designed piping installed in a structure or area, generally overhead, and to which automatic sprinklers are connected in a systematic pattern. The system is usually activated by heat from a fire and discharges water over the fire area. More than 12 feet above finished ground level at any point. A building arranged or used as lodging for compensation, with or without meals, not occupied as a single-family unit. The Bureau of Fire Prevention is made up of the following personnel: the Fire Chief, the Fire Marshal and/or Fire Inspectors, or any other designee of the Chief. Group B occupancy includes, among others, the use of a building or structure, or a portion thereof, for office, professional or service-type transactions, including storage of records and accounts. The upper surface of a space, regardless of height. Areas with a suspended ceiling would have two ceilings, one visible from the floor and one above the suspended ceiling. All material not classified as "noncombustible" is considered combustible. This property of a material does not relate to ability to structurally perform under fire exposure. The degree of combustibility is not defined by standard fire test procedures. Any area in a building that can be accessed by more than one person from different families at one time. A community facility where five or more adults who are not related to the operator or administrator and who do not require care above intermediate level nursing care reside and receive care, treatment or services that are above the level of room and board but that include no more than three hours of nursing care per week per resident. A company, individual or agency hired by the Bureau of Fire Prevention to provide advice to the Bureau of Fire Prevention on fire-related issues. Consultants may provide services, which could include plan reviews of fire suppression systems and fire alarm systems, witness tests and/or conduct inspections. Any place which receives at any one time for compensation four or more children under the age of seven years, for care and supervision, for less than 24 hours a day or more than 10 days a month, without the attendance of a parent, relative or legal guardian. A single unit providing living facilities for one or more persons, including permanent provisions for living, sleeping, eating, cooking and sanitation. For the purpose of this code, "dwelling unit" includes apartments and condominiums but does not include hotel and motel rooms, guest suites, dormitories, boarding rooms, or sleeping rooms in nursing homes. A detached building containing only one dwelling unit and designed for one family. A detached building containing not more than two individual dwelling units which are entirely separated by vertical walls or horizontal floors, unpierced except for access to the outside or common basement. Group E occupancy includes, among others, the use of a building or structure, or a portion thereof, by six or more persons at any one time for educational purposes through the 12th grade. Group F occupancy includes, among others, the use of a building or structure, or a portion thereof, for assembling, disassembly, fabricating, finishing, manufacturing, packaging, repair or processing operations that are not classified as Group H occupancy. The willful and knowing initiation or transmission of a signal, message or other notification of an event of fire when no such danger exists. A false alarm of fire deliberately sounded by someone in order to inconvenience the Fire Department. An alarm set off and transmitted through accidental operation of an automatic or manual fire alarm device. An alarm that turns out to be false but was reported in good faith. Two or more individuals who are related to each other by blood, marriage, adoption or legal guardianship. For purposes of this code a group of not more than four persons not necessarily related by blood or marriage, living together in a single living unit, will be considered equivalent to a single family. A system or portion of a combination system that consists of components and circuits arranged to monitor and annunciate the status of the fire alarm or supervisory signal-initiating devices to activate notification appliances throughout the protected premises and to initiate the appropriate response to those signals. Any combination of a fire door, frame, hardware, and other accessories that together provide a certain degree of fire protection to the opening. A designated fire apparatus only parking site, out of the building collapse zone, and within 40 feet of the Fire Department sprinkler connection and within 40 feet of the fire sprinkler designated fire hydrant. Access to the fire pumper pad shall be maintained at all times. That type of construction in which the structural components, including walls, partitions, columns, floor, and roof construction, are of noncombustible materials with fire-resistant ratings not less than those specified in Ch. SPS 375, Wis. Adm. Code. Where Fire Department equipment will park. A fire-resistance-rated wall having protected openings, which restricts the spread of fire and extends continuously from the foundation to or through the roof, with sufficient structural stability under fire conditions to allow collapse of construction on either side without collapse of the wall. For the purpose of determining square footage as it relates to the sprinklering of a building, fire walls shall not be considered area dividers. Exception: Fire walls without penetrations may be used as a building divider. Refers to the total square footage of the sums of all basements, floor levels, balconies and mezzanines. The area for basements and floor levels shall be measured from the outside perimeter of the outside walls. The area for mezzanines shall be determined from the product of the length of the mezzanine times the width of the mezzanine. For the purpose of determining square footage, fire division walls will not be accepted as outside walls or area dividers. Single-story buildings: 30 feet apart or less. Two-story buildings: 60 feet apart or less. Three-story buildings: 60 feet apart or less. All other multiple-story buildings: 60 feet apart. Buildings of variable height next to each other: 30 feet apart or less. 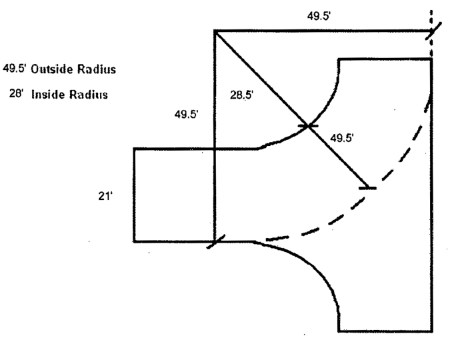 For the purpose of determining square footage, a fire wall which has a fire-resistance rating of not less than four hours or greater and which subdivides a building or separate buildings to restrict the spread of fire, including a three-foot parapet wall, is an approved area divider. Those levels where less than half the height between the floor and ceiling is above the average level of the street, sidewalk or finished grade. That level of a building on a sloping or multilevel site which has a floor line at or not more than three feet above exit discharge grade for at least 1/2 of the required exit discharges. 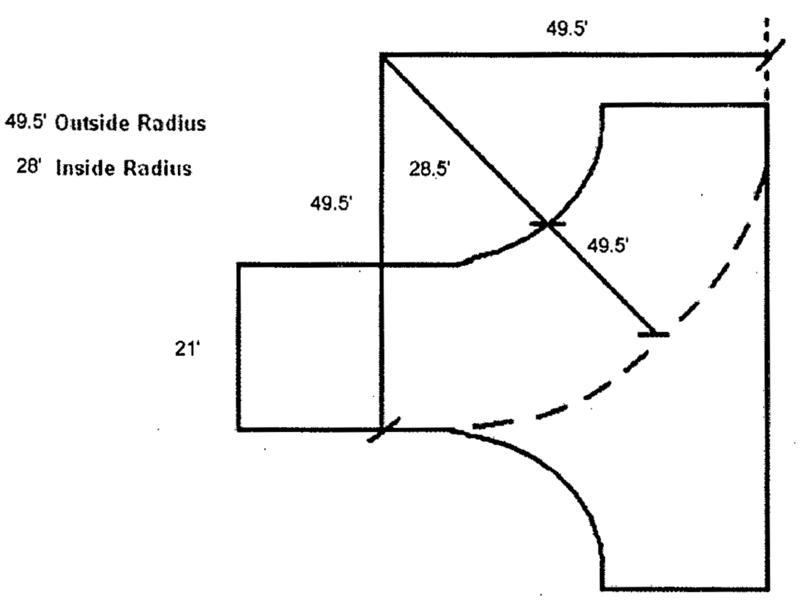 A reference plane representing the average of finished ground level adjoining the building exterior walls. Where the finished ground level slopes away from the exterior walls, the reference plane shall be established by the lowest points within the area between the building and the lot line or, where the lot line is more than six feet from the building, between the building and a point six feet from the building. Group H occupancy includes, among others, the use of a building or structure, or a portion thereof, that involves the manufacturing, processing, generation or storage of materials that constitute a physical or health hazard in quantities in excess of those found in Tables 307.1(1) and 307.1(2) of the International Building Code. H-1: Buildings and structures which contain materials that pose a detonation hazard. H-2: Buildings and structures which contain materials that pose a deflagration hazard or a hazard from accelerated burning. H-3: Buildings and structures which contain materials that readily support combustion or pose a physical hazard. H-4: Buildings and structures which contain materials that are health hazards. H-5: Semiconductor fabrication facilities and comparable research and development areas in which hazardous production materials are used and the aggregate quantity of material is in excess of those listed in Tables 307.1(1) and 307.1(2) of the International Building Code. The vertical distance from the grade plane to the average height of the highest roof surface. Group I occupancy includes, among others, the use of a building or structure, or a portion thereof, in which people having physical limitations because of health or age are harbored for medical treatment or other care or treatment, or in which people are detained for penal or correctional purposes, or in which the liberty of the occupants is restricted. Institutional occupancies are classified as I-1, I-2, I-3, or I-4, as described in the International Building Code. Included in a list published by a nationally recognized testing laboratory, inspection agency, or other organization concerned with product evaluation, that maintains periodic inspection of production of listed equipment or materials and whose listing states either that the equipment or materials meet nationally recognized standards or have been tested and found suitable for use in a specified manner. A system or portion of a combination system that consists of components and circuits arranged to initiate the notification appliances and appropriate response to those signals only after a person manually activates the fire alarm system. Group M occupancy includes, among others, buildings and structures, or a portion thereof, for the display and sale of merchandise and involves stock of goods, wares or merchandise incidental to such purposes and accessible to the public. An intermediate level or levels between floor and ceiling of any story with an aggregate floor area of not more than 1/3 of the area of the room or space in which the level or levels are located. Buildings and structures of an accessory character and miscellaneous structures not classified in any specific occupancy shall be constructed, equipped and maintained to conform to the requirements of this code commensurate with the fire and life hazard incidental to their occupancy. Building or portion thereof containing three or more dwelling units, such as tenements, apartments or rooming houses. Building or portion thereof containing three or more dwelling units, such as row houses, single-family attached, townhouses and zero lot line construction. One which, in the form in which it is used, meets one of the requirements listed below. Material used adjacent to or in contact with heat-producing appliances, warm air ducts, plenums and chimneys shall be classified as noncombustible only on the basis of the requirement in Subsection A. Noncombustible does not apply to the flame spread characteristics of interior finish or trim materials. No material shall be classed as noncombustible building construction material which is subject to increase in combustibility or flame spread classification (FSC) beyond the limits herein established through the effects of age, moisture or other atmospheric conditions (see flame spread rating in Wisconsin Administrative Code). Materials which pass the test procedure of ASTM E-136 for defined noncombustibility of elementary materials when exposed to a furnace temperature of 1,382° F. for a minimum period of five minutes and do not cause a temperature rise of the surface or interior thermocouple in excess of 54° F. above the furnace air temperature at the beginning of the test and which do not flame after exposure of 30 seconds. Materials having structural base of noncombustible material as defined in Subsection A with a surfacing not more than 1/8 inch thick which has a flame spread classification (FSC) not greater than 50 when tested in accordance with the method of test for surface burning characteristics of building materials (ASTM E-84). A fire alarm system component such as a bell, horn, speaker, light, or text display that provides audible, tactile, or visible outputs, or any combination thereof. The person or persons who physically reside, work or are present in a facility. Includes his duly sworn agent or attorney, a purchaser, devisee, fiduciary or person having a vested or contingent interest in the property in question. The physical location protected by a fire alarm system. Includes any structure, including exterior parts of such building, such as a porch, exterior platform or steps providing means of ingress and egress, used in whole or in part as a place of resort, assemblage, lodging, trade, traffic, occupancy, or use by the public or by three or more tenants. To remodel or alter, or both, means to change any building or structure which affects the structural strength, fire hazard, internal circulation, or exits of the existing building or structure. This definition does not apply to maintenance, re-roofing, or alterations to the heating and ventilating or electrical system. Group R occupancy includes, among others, the use of a building or structure, or portion thereof, for sleeping accommodations when not classed as an Institutional Group I.
R-1: Residential occupancies where the occupants are primarily transient in nature. R-2: Residential occupancies containing more than two dwelling units where occupants are primarily permanent in nature. R-3: Residential occupancies where the occupants are primarily permanent in nature and not classified R-1, R-2 or I, and where buildings do not contain more than two dwelling units or adult and child care facilities, that provide accommodations for five or fewer persons of any age for less than 24 hours. R-4: Residential occupancies shall include buildings arranged for occupancy as residential care/assisted living facilities including five but not more than 16 occupants, excluding staff. Commercial, industrial, residential, governmental and institutional buildings. Buildings with combustible roofs shall have all roof spaces subdivided every 3,000 square feet by one-hour-rated partitions unless protected by an approved automatic fire sprinkler system. All openings must have a minimum one-hour-rated self-closing door. Any building which has a room or rooms for sleeping without permanent provisions for cooking. Rooming house rooms do not include any room in a one- or two-family dwelling. A place of abode arranged to accommodate three or more attached side-by-side or back-to-back living units. A horizontal measured dimension relating to all the allowable coverage limits of fire detectors, automatic sprinkler systems, and fire alarm visual notification devices. Multifamily (both private and common entrance) type constructed with a two-hour fire wall between all common surfaces (walls, floors and ceiling), the two-hour fire wall to extend through attic to underside of roofing materials. Group S occupancy includes, among others, the use of a building or structure, or portion thereof, for storage that is not classed as Hazardous Group H.
S-1 (moderate-hazard storage): Buildings occupied for storage uses which are not classified as S-2. S-2 (low-hazard storage): Buildings used for storage of noncombustible material such as products on wood pallets or in paper cartons with or without single-thickness divisions or in paper wrappings. Such products may have negligible amount of plastic trim such as knobs, handles, or film wrapping. That portion of a building included between the upper surface of a floor and the upper surface of the floor or roof next above. All buildings or parts thereof containing an assembly hall having a stage or which is otherwise adaptable to the showing of plays, operas, motion pictures or similar forms of entertainment. For automatic fire sprinkler systems means providing fire sprinkler protection in all areas of a structure as required by NFPA 13. For automatic fire alarm systems means providing detection and audible and visual notification devices in all areas of the protected premises installed in accordance with NFPA 72. For manual fire alarm systems means providing audible and visual notification devices in all areas of the protected premises installed in accordance with NFPA 72. Chapter SPS 307, Explosives and Fireworks. Chapter SPS 314, Fire Prevention. Chapter SPS 318, Elevators, Escalators, and Lift Devices. Chapter SPS 328, Smoke Detectors and Carbon Monoxide Detectors. Chapter SPS 340, Gas Systems. Chapter SPS 345, Mechanical Refrigeration. Wisconsin Statutes Chapter 101, Regulation of Industry, Buildings and Safety. Any violation of the incorporated provisions constitutes a violation of this code. In cases of conflict between local and state codes, the most restrictive provisions shall govern. This code shall not be construed to affect the responsibility of any persons owning, operating, or installing equipment for damage to persons or property caused by any defect therein, nor shall the municipality or any person, firm, company or agent(s) for the municipality be held as assuming such liability by reason of the inspection or reinspection authorized herein or the permit issued as herein provided or by reason of the disapproval or approval of any equipment authorized herein. The service of orders may be made upon the owner, occupant or other person responsible for the conditions either by delivering a copy of the order personally or by delivering the same to and leaving it with the person in charge of the premises. Whenever it may be necessary to serve such order upon the owner of the premises, such an order may be served either by delivering to and leaving with the person a copy of the order or, if such owner is absent from the jurisdiction of the AHJ making the order, by mailing such a copy to the owner's last known post office address. If the building or other premises are owned by one person and occupied by another under a lease or otherwise, the order issued in connection therewith, except where the rules or orders require making of additions to or changes in the premises themselves, shall affect the owner and not the occupant unless it is otherwise specified by written agreement between the owner and occupant and said written agreement is filed with the AHJ. Conditions that are highly hazardous to life or safety of the occupants shall be corrected immediately. All other violations shall be corrected within a specified time or date, as the AHJ shall allow. When the owner of any property subject to an order issued by the AHJ fails to comply with the order, the municipality may do the work ordered and the cost of such work shall constitute a special charge against the property upon which the work is done and shall be levied against such property pursuant to the terms of § 66.0627, Wis. Stats. No person shall refuse to permit or shall prevent or interfere with any entry into or upon any building or premises by the AHJ or interfere with any such inspection. If consent to entry to personal or real properties which are not public buildings, or to portions of public buildings which are not open to the public, has been denied, the Fire Inspector shall obtain a special inspection warrant under § 66.0119, Wis. Stats. The Public Works and Safety Committee shall have the power to modify any of the provisions of this Fire Prevention Code upon application in writing by the owner or occupier, or a duly sworn authorized agent, when there are practical difficulties in the way of carrying out the strict letter of the code, provided that the spirit of the code shall be observed, public safety secured, and substantial justice done. The particulars of such modifications when granted are allowed and the decision of the Public Works and Safety Committee thereon shall be entered upon the records of the Public Works and Safety Committee and a signed copy shall be furnished to the applicant. The Public Works and Safety Committee may require tests as proof of compliance with the intent of this code. Such tests are to be made by an approved agency at the expense of the person requesting approval of the alternate material or method of construction. If technical expertise is unavailable within the municipality because of new technology, process, products, facilities, materials and uses attending design, operation or use of a building or premises subject to the inspection of the municipality, the Public Works and Safety Committee may require the owner or the person in possession or control of the building or premises to provide without charge to the municipality a technical opinion and report. The opinion and report shall be prepared by a qualified engineer, specialist, laboratory or fire safety organization acceptable to the Public Works and Safety Committee and the owner and shall analyze the fire safety properties of the design, operation or use of the building or premises and the facilities and appurtenances situated thereon, and prescribed and necessary recommended changes. The Public Works and Safety Committee may also acquire technical assistance from a consultant and may charge a fee to the owner or occupant for the service provided. Whenever the AHJ shall disapprove an application or refuse to grant a permit applied for, or when it is claimed that the provisions of this code do not apply or that the true intent and meaning of this code have been misconstrued or wrongly interpreted, the applicant may appeal the decision of the AHJ. Such appeal shall be in writing, be accompanied by the fee and shall be filed with the Public Works and Development Department within 30 days from the date of the decision of the AHJ. The Public Works and Development Department shall forward the appeal to the Public Works and Safety Committee, and the Public Works and Safety Committee may affirm, reverse or modify the decision of the Fire Department and shall make such orders as necessary under the circumstances. All appeals shall be in the form of a written notice served on the Fire Department in which the questioned decision is fully stated. Such notice shall be immediately transmitted to the Public Works and Development Department which shall arrange for a Public Works and Safety Committee meeting on the particular issue raised. The written notice of appeal shall be accompanied by the established fee payable to the City of Muskego. Such fee shall be retained by the City of Muskego and no refund of such fee or any portion thereof shall be granted, regardless of the outcome of the appeal. Any person who violates any of the provisions of this code, or who fails to comply with any order made hereunder, or who builds in violation of any detailed statement of specifications or plans submitted and approved hereunder, or any certificate or permit herein, from which no such appeal has been taken, or who fails to comply with such an order as affirmed or modified by a court of competent jurisdiction within the time fixed herein, shall for each and every violation and noncompliance be subject to the penalties and remedies described in § 1-4 of the City Code. Each and every day that a violation of this code occurs constitutes a separate offense. The AHJ may request from the Public Works and Development Department the revocation of any permit issued in accordance with this code in any case where it may find that any of the conditions for the issuance have not been maintained or where there has been false statement or misrepresentation of any material fact in the application or plans on which the issuance was based. The AHJ shall promptly notify the permit holder of the request for revocation, and, if so requested by the permit holder, the effective date of the revocation shall be deferred pending a hearing before the Public Works and Safety Committee. The decision of the Public Works and Safety Committee of revocation, following the hearing, shall be final. The Fire Chief may order compliance with this code and all other lawful orders or laws relating to fire prevention and fire protection in existing building and structures. Where the public is exposed to immediate danger, the Fire Chief may order closing and vacating of the building at once. The Fire Department shall investigate the cause and origin and circumstances of fires occurring within its jurisdiction to determine if the fire is of carelessness or design. Such investigations may begin immediately upon the occurrence of such a fire, and if it appears to the officer making such an investigation that such fire is of suspicious origin and of a significant nature, the Fire Chief shall be immediately notified of the facts. The Fire Chief or Fire Inspector shall notify the proper authorities designated by law to pursue the investigation of such matters and shall further cooperate with the authorities in the collection of evidence and in the prosecution of the case. A member of the fire investigation team shall file a written report of damage associated with every fire in a timely manner. It shall contain a statement of all facts relating to the cause and origin and circumstances of such fire and other information as may be required. The Municipal Attorney and any other department of the municipality, upon the request of the Fire Chief, shall assist in the investigation of any fire that, in the Chief's opinion, is of suspicious origin. The Fire Chief, officers in command and the Fire Inspector at any fire are hereby vested with full and complete police authority. Any officer of the Fire Department may cause the arrest of any person failing to give the right-of-way to the Fire Department in responding to or investigating an incident. The Fire Chief or officers in command may prescribe certain limits in the vicinity of any incident within which no persons, excepting firefighters and police officers and those admitted by order of any officer of the Fire Department, shall be permitted to enter. The Fire Chief or officers in command shall have the power to cause the removal of any property whenever it is deemed necessary and prudent for the preservation of such property. During the progress of any fire, they shall have the power to cause the removal of all wires or other facilities and the turning off of all electricity or other services where the same impedes work of the Fire Department during the progress of fire. It shall be lawful for any Fire Department personnel, while acting under the direction of the Fire Chief or officer in command, to enter premises adjacent to or in the vicinity of a building or other property that is on fire for the purpose of extinguishing, containing, or searching for extension of such fire. No person shall hinder, resist or obstruct any firefighter in the discharge of his duties as is hereinbefore provided. The person so offending shall be deemed guilty of resisting firefighters in the discharge of their duties. During the progress of fire the Fire Chief or officers in command shall have the power to order the removal or destruction of any property necessary to prevent the further spread of fire or to ensure that the fire has not extended to other areas, provided that it is likely that, unless such property is removed, other property is in danger of being destroyed by fire. Intent. The intent of this section is to require the installation of automatic fire sprinkler systems to improve the protection of life and property within the municipality in compliance with state regulations concerning fire protection within public buildings and places of employment. Installation required. An automatic fire sprinkler system shall be installed and maintained in full operating condition, strictly conforming to the rules of the State Department of Safety and Professional Services, including rules adopted pursuant to § 101.02(15)(j), Wis. Stats., which standards and rules are hereby adopted and incorporated herein by reference. The applicable state standards may include, but not be limited to, Ch. SPS 362, Wis. Adm. Code, International Building Code Chapter 9, and NFPA 13. Be monitored in accordance with NFPA 72. Have sprinkler control rooms located with adequate access for Fire Department, sprinkler maintenance and inspection personnel and shall not be located within private dwellings with the exception of NFPA 13D systems. Have direct access from the exterior to the sprinkler control valve as determined by the AHJ. Have working drawings prepared in accordance with NFPA 13 submitted before a building permit can be issued. Have a bell (minimum 10 inches) and strobe located above the FDC in accordance with NFPA 13. An additional strobe is required on the street side of the building if the FDC is not located there. The FDC must be at least 40 feet from all gas meters, electrical meters and transformers. The FDC must include a five-inch Storz connection with a Knox lock cover. Be designed for the hazard being protected or as specifically specified in this code and/or as directed by the AHJ. All automatic fire sprinkler system hydraulic designs are to be based on 90% available water supply (10% safety margin shall be maintained). All sprinkler systems designed shall be based on the most current approved water flow test done in accordance with NFPA 291. Sprinkler systems which have been installed in compliance with a permit or order, or because of any law or ordinance, shall be maintained in operative condition at all times. No owner or occupant shall reduce the effectiveness of the protection so required, except that this provision shall not prohibit the owner or occupant from temporarily reducing or disconnecting the protection system when making necessary repairs, alterations or additions. The Fire Department shall be notified before repairs, alterations or additions are started and shall be notified again when the system has been restored to service. Inspections and maintenance shall be performed by an approved agent, pursuant to the procedures listed in §§ 191-3 and 191-4 of this Fire Prevention Code. A service contract is required for annual service of the sprinkler system according to NFPA 25. This will be required prior to obtaining an occupancy permit on all newly constructed and existing buildings. A service contract is required for the monitoring of systems where monitoring is required. The latest annual test report must be posted at the riser or location acceptable to the AHJ. Any building which by reason of its construction or highly combustible occupancy involves severe hazard to its occupants or, in the judgment of the AHJ, constitutes a fire menace, e.g., paint shop and other occupancies involving processing, mixing, storing, and dispensing of volatile liquids or solids. Non-fire-resistive characteristics of a structure. Lack of accessibility to the premises for firefighting equipment. Substantial number of fire calls or complaints on the premises. Traffic patterns for pedestrian ingress and egress which require protection under this section. Lack of an internal communications system, or due to the size or type of building making regular Fire Department radio communication inoperable, the building owner is required to install a repeater system or something comparable to assist radio communications. Number, characteristics and movement of employees which require protection under this section. Installation of an automatic sprinkler system must be started within one year from the service of such orders and shall be completed within 180 days after construction has started. Exemptions. This section shall not apply to any location where the installation of sprinklers may cause or increase an occupational hazard as determined by any governmental authority having jurisdiction over such location or occupation. Intent. The intent of this section is to require automatic fire-extinguishing systems in vent hoods and duct systems in all cooking areas to effectively extinguish fire at its source and reduce property damage and losses. A dimensional drawing showing the owner's name, owner's address, owner's phone number, the hood and ducts, and the extinguishing system shall be prepared showing the size of the hood and ducts, the area of the protected surface, the name of the installing contractor, the address of the installing contractor, the phone number of the installing contractor, the manufacturer's name, the manufacturer's address, the manufacturer's phone number, the model designations, size and number of tanks, pipe nozzles, distance of nozzles above the cooking surface, location and type of detection devices, the location of any gas shutoff valves and the location of manual pull stations. The system shall be provided with automatic fuel shutoff. A Class K fire extinguisher shall be installed per NFPA 10. Alarms shall be connected to the fire alarm system per NFPA 72. Cooking equipment used in processes producing smoke or grease-laden vapors shall be equipped with an exhaust system that complies with all the equipment and performance requirements of NFPA 1 and NFPA 96, and all such equipment and performance shall be maintained per NFPA 96 during all periods of operation of the cooking equipment. Placement. The address shall be put in place on the structure as soon as reasonably possible during construction at a location acceptable to the AHJ. Arabic numbers shall be used. Script and Roman numerals cannot be used alone but may be used as an addition to the requirements of this section. All single-family and two-family residential buildings shall have street numbers not less than 3 1/2 inches high and placed on the exterior wall of the principal building that faces the street or service drive providing access to the building. All such residential units shall also have street numbers not less than 3 1/2 inches high placed on their respective mailbox. If the building setback is greater than 100 feet from the roadway, the address shall be moved no further than 25 feet from the roadway and placed within 10 feet of the entrance to the property. All numbers and letters shall be visible from the roadway at all times of the year. All multifamily buildings shall have street numbers placed on the exterior wall of the principal building that faces the street service drive or parking lot and located adjacent to the individual unit entrances to the buildings. In addition each building shall be identified by a letter or number not less than 12 inches high, located near the top of the building wall facing the street service drive or parking lot serving that building. At the entrance of each access drive, there shall be a direct listing of the street numbers and building identifications that are accessible from said street service drive or parking lot. Have residential suite numbers identifying the individual unit placed on the primary entrance to each separate occupancy. If less than 75 feet in height, have street numbers, not less than six inches high, placed on the exterior wall of the principal building facing the street, service drive or parking lot providing access to that building and located adjacent to any primary entrance door. If more than 75 feet in height, also have street numbers, not less than 24 inches in height, located on the building wall facing the primary street and the main entrance. Have suite numbers identifying the individual in each unit placed on the primary entrance to each separate business or occupancy. All commercial or industrial structures which have a rear service door shall identify the occupant and the street address conspicuously on said rear door in contrasting and reflective letters and numbers not less than six inches in height and shall continually maintain the same. Address numbering and lettering shall be in addition to addresses placed on mailboxes, paper boxes or similar objects. Elevator car. All passenger and freight elevators in all buildings and structures hereinafter constructed, except one- and two-family residential occupancies, shall provide at least one elevator to all floors of such a size and arrangement to accommodate an ambulance stretcher 24 inches by 85 inches (610 millimeters by 1,930 millimeters) in the horizontal, open position, plus three people standing. The elevator arranged to accommodate an ambulance stretcher shall be identified by the international symbol of emergency medical services (star of life). This symbol shall not be less than three inches (76 millimeters) high and shall be placed inside on both sides of the hoistway door frame. Intent. The intent of this subsection is to provide a means for automatic detection of fire conditions and to provide warning notification throughout all buildings and occupancies built hereinafter, structurally altered, and/or added to. Excludes single-family home day care. Variances may be granted, depending on occupancy load and alternative fire control and/or suppression and notification system installed. AHJ has sole authority to grant variances. Audible notification appliances shall be installed throughout protected premises. Closets and/or other similar small storage rooms that do not exceed 50 square feet in floor area and are not normally occupied. Any area the AHJ deems visible notification appliances are not required. Appliances that automatically detect fire and/or products of combustion are not required in buildings less than 25,000 square feet that have complete automatic fire sprinkler systems installed in accordance with NFPA 13, unless required by the AHJ. Note: State codes may be more restrictive. Any area the AHJ deems appliances that automatically detect fire and/or products of combustion are not required. Manual initiating devices are not required in buildings that have complete automatic fire sprinkler systems installed in accordance with NFPA 13. Note: State codes may be more restrictive. Any area the AHJ deems manual initiating devices are not required. Water flow detection devices shall be connected to the protected premises fire alarm system to specifically activate the notification appliances upon water flow. Fire suppression system activation alarms shall be connected to the protected premises fire alarm system to specifically activate the notification appliances upon system activation. This includes but is not limited to wet chemical, CO2, clean agent, water mist and dry chemical systems. Fire control and/or suppression systems supervisory condition indicators shall be connected to and monitored by the protected premises fire alarm system. This specifically includes but is not limited to valve supervisory switches (tamper switches), low air switches, low temperature switches, fire pump condition indicators and/or any other situation or condition deemed necessary by the AHJ. Fire alarm systems shall be addressable and capable of indicating the status of all specific components connected to the system. All fire alarm systems shall be monitored by a service acceptable to the AHJ. Fire alarm annunciators shall be installed in all protected premises. The number of and locations of the fire alarm annunciators installed shall be acceptable to the AHJ. As determined by the AHJ, any additional notification and/or initiation appliances/devices may be required due to size, occupancy hazards, building construction, and/or occupancy use. Two-way telephone communication service shall be provided for Fire Department use. This system shall be in accordance with NFPA 72, National Fire Alarm and Signaling Code. The communications system shall operate between the central control station and every elevator car, every elevator lobby and each floor level of exit at stairs. The requirement of NFPA 1, 13.7.2.27.2.2(A), shall not apply where the Fire Department radio system is approved as an equivalent system (NFPA 101.11.8.2). Testing. When a fire alarm system and/or connected component is installed or altered, a fire alarm system performance test shall be conducted. Once the appropriate plans, permits, and installation work have been completed, the installing contractor shall contact the AHJ to set up the witnessing of a performance test to ensure all appliances are installed and functioning properly. Prior to requesting the AHJ witness a performance test, the responsible parties must provide the AHJ with a completed copy of the record of completion required by NFPA 72. Maintenance. All devices shall be installed, maintained, and tested in accordance with NFPA 72 standards. If the alarm detection or notification devices fall under another applicable NFPA standard it shall also apply. If at any point a fire alarm fails to pass the annual test set forth in NFPA 72, the building owner shall immediately notify the AHJ of the test results. It shall be the AHJ's determination if that failed system is to be repaired or upgraded to comply with this code. Fire alarm control panels. Fire alarm control panels shall display the status of the system components and be installed in a location acceptable to the AHJ. Adequate access for Fire Department, alarm maintenance, and inspection personnel shall be maintained. Fire alarm control panels shall not be located within private dwellings with the exception of one- and two-family dwellings. Adequate access shall be determined by the AHJ. False alarms. In one calendar year, if the Fire Department responds to three or more false alarms as described in Subsections A and B of the definition of "false alarm" in § 191-2, the Fire Department may require that the fire alarm be serviced, upgraded, or replaced to bring the alarm system into compliance with current code in order to prevent future false alarms. Fire lanes, fire streets and pumper pads. Fire lanes. Unobstructed fire lanes that are accessible from the public road shall be provided for every facility, building or portion of a building in accordance with this code and Ch. SPS 362, Wis. Adm. Code (fire lanes provide access to fire streets). Fire lanes must be at least 24 feet in width and must be designed for a forty-eight-degree turning radius with two-foot overhang where applicable. Each structure must have one fire street along 50% of the length of one facade of the building and include the area for the Fire Department connection. There must be access to the building in the street area. Fire streets must be no less than 10 feet and no more than 30 feet from the building. The first 10 feet of area dividing the fire street and the structure must consist of open space (walkway, greenway, parking, and landscaping are acceptable in this area). Fire streets shall have an unobstructed width of at least 25 feet, although a thirty-foot minimum is required when parking abuts both sides of the fire street. If parking stalls are intended between the fire street and the building, there must be striped fire access points measuring 10 feet wide by 20 feet deep for every 50 feet of fire street. One or more of these must be in line with the building entrance. A fire street may include up to six feet of parking area within the 30 feet of work area if striped access 10 feet by 20 feet is given for every 50 feet of the intended fire street. It shall be unlawful for any persons to park motor vehicles on or otherwise obstruct any fire lane. Turning radius. Curves and turnarounds, solely leading to or within a fire street, shall be designed for a fire truck 41 feet long with an inside turning radius of 28.5 feet and outside turning radius of 49.5 feet with a two-foot unobstructed overhang (see diagram herein for example). A minimum twenty-four-foot roadway of asphalt or concrete is needed around a turn to accommodate this subsection. Editor's Note: See the document "Fire Street Examples for Site Planning" attached to this chapter. Fire pumper pad. For occupancies where a special hazard exists or where the size or configuration of the building or contents limit normal fire apparatus access, the AHJ shall have the authority to require the installation of a fire pumper pad. This pad will be placed near the Fire Department connection or standpipe connections. The fire pumper pad will be 25 feet by 40 feet. Intent. The intent of this subsection is to ensure adequate water supply for firefighting purposes to structures, buildings, and normal premises. For the purpose of placing hydrants, "normal access routes" are defined as pavement, sidewalks, streets, driveways and paths leading to a building that are clear and maintained year round. The normal access route does not include grass, parking stalls, ditches, hills, shrubs, flowerbeds, fences, walls or any other area typically used for ingress or egress to a building. Buildings. Any building or structure, except single- and two-family dwellings, hereafter erected shall provide, at the owner's expense, approved water hydrants. Hydrants shall be located so that no part of the building is more than 300 feet from an approved hydrant by normal access routes. One hydrant shall be located within 150 feet of the Fire Department sprinkler or standpipe connection, and this hydrant shall not be counted as a required hydrant fulfilling the three-hundred-foot coverage rule. Required hydrants must be freestanding and shall be installed not less than 40 feet from the building exterior wall and may not be closer than 50 feet to another hydrant. Public hydrants across divided roads/highways shall not be used to fulfill the hydrant requirements for the building or premises. The AHJ will approve the actual location of all private hydrants. Two copies of the building plans including site plans shall be provided to the Building Inspector for Fire Department use, in addition to any copies or building plans required by the Building Inspector. Mobile home parks. Any new mobile home or trailer park or any mobile home or trailer park which expands by adding additional trailer or area to the present court site shall provide an approved water hydrant when any trailer or building located in such park is more than 300 feet from an approved hydrant. Water hydrants shall be provided so that no trailer or building is more than 300 feet from an approved hydrant by normal access routes. Approved water hydrant. An approved water hydrant shall mean a water hydrant with two two-and-one-half-inch and one four-and-one-half-inch Fire Department connections. The connecting waterline between the public water main and the approved water hydrant shall not be less than six inches. All water hydrants approved by the AHJ and the Water Utility and shall be installed in compliance with standards of the Water Utility and NFPA 24. All water hydrants shall be installed and maintained in such a manner and location so as to be accessible at all times to the Fire Department apparatus. All hydrants shall be installed, tested, in service and accessible to the Fire Department prior to any aboveground construction or combustibles that are brought onto the site. Hydrant flows. Hydrant flows shall not be less than 1,250 gallons per minute (gpm) with a 20 pounds per square inch (psi) residual. Additionally the hydrants providing coverage to a building or site under this subsection must supply a total flow sufficient to meet requirements of the building. The procedure for determining fire flow requirements for buildings shall be in accordance with Appendix B of the International Fire Code. Inspection, testing, maintenance and repair. Private fire service mains and water tanks shall be periodically inspected, tested and maintained in accordance with NFPA 25 at the following intervals: private fire hydrants inspected, flow tested and maintained annually and after each operation. Property owner shall immediately advise the Fire Department and the Water Utility as to hydrants which have been damaged, are inoperable, or have been found deficient in required fire flow. All inoperable hydrants shall be repaired as soon as possible or within a reasonable time frame as determined by the AHJ. All records of inspections shall be maintained on site and made available to the AHJ upon request. An access box system (Knox®) has been adopted for use by the Fire Department. Commercial or industrial structures protected by an automatic alarm system or automatic fire suppression system, or such structures that are secured in a way that restricts access during an emergency. Nursing homes, CBRFs, child day care and other health facilities. The AHJ shall have the authority to require any structure to have an access box. All newly constructed structures subject to this subsection shall have the access box installed and operational prior to the issuance of any occupancy permit. Keys to locked points of ingress and egress whether on the interior or exterior. The keys to locked mechanical equipment rooms. The keys to electrical and elevator control rooms. The keys needed to open any alarm panels. Floor plans or maps as required by the AHJ. The keys to the other areas as directed by the AHJ. The access box shall be installed at the owner's expense. The owner or agent of a structure required to have an access box must ensure that all keys and other items contained in the access box are those currently in use in the structure. The size of access box must be approved by the AHJ. Exception. Any building or site that has guard service 24 hours a day, seven days a week, or any occupancy that remains open 24 hours a day, seven days a week, does not require an access box unless ordered by the Fire Chief. Site plan requirements. Prior to and as a condition of obtaining an occupancy permit, the owner of all buildings, except for one- or two-family units, shall supply the Fire Department with a site plan 8 1/2 inches by 11 inches which includes the following information. More than one page, if required, will be accepted. Dimensions of the structure in English measurement units. Location of hydrants around the site and at the street. Apartment, suite or unit numbers, if applicable. Any special type of fire protection listed and area covered. Special construction features, skylights, blowout walls, etc. Floor plans may also be included. Name, address and telephone number of building owner. Identify the street and structure is addressed. Identify the direction North on the map. Where required. Fire Department standpipes shall be provided in all new structures over two stories in height or 25,000 square feet single story in accordance with this subsection. All stairwells in buildings over one story will require standpipes. Installation. The installation of standpipes shall be in accordance with this subsection and NFPA 14. The class and location of standpipe and Fire Department connections shall be determined by the AHJ. The location of standpipe connections shall be accessible and shall be located so that all portions of the building are within 30 feet of a nozzle attached to 100 feet of hose. When required by the AHJ, approved standpipes shall be installed as construction progresses, to make them available for Fire Department use in the topmost floors constructed. Temporary standpipes may be provided in place of permanent standpipes during the period of construction when approved by the AHJ. The Fire Department connections for the standpipe shall be approved by the AHJ. All dwellings and buildings within the City of Muskego damaged from fire shall be secured within 24 hours of release of the property by the AHJ. The owner of the damaged property shall assume the liability for the protection of the public until the property is secured. Fees shall be established by separate resolution of the Common Council for certificates, approvals, and other functions performed under this code and shall be payable to the City of Muskego. Such fees shall accompany each application for such approval, certificate, or other fee-related code provision. Fees are subject to change. All fees pertain to new construction and the remodeling of existing building or occupancies. This article is intended to promote the public health, safety and welfare and to safeguard the health, comfort, living conditions, safety and welfare of the citizens of the City of Muskego due to the air pollution and fire hazards of open burning, outdoor burning and refuse burning. This article applies to all outdoor burning and refuse burning within the City of Muskego. This article does not apply to grilling or cooking using charcoal, wood, propane or natural gas in cooking or grilling appliances. This article does not apply to burning in a stove, furnace, fireplace, or other heating device within a building used for human or animal habitation unless the material being burned includes refuse as defined in § 191-21 of this article. This article does not apply to the use of propane, acetylene, natural gas, gasoline or kerosene in a device intended for heating, construction, or maintenance activities. A small outdoor fire intended for recreation or cooking, not including a fire intended for disposal of waste wood or refuse. Natural wood which has not been painted, varnished, or coated with a similar material, has not been pressure treated with preservatives, and does not contain resins or glues as in plywood or other composite wood products. Printed material containing personal identification or financial information that the owner wishes to destroy. The Chief of the Tess Corners Fire Department or other person authorized by the Fire Chief. Open burning or burning in an outdoor wood-fired furnace. Wood-fired furnace, stove, or boiler that is not located within a building intended for habitation by humans or domestic animals. Any waste material except clean wood. Open burning, outdoor burning, and refuse burning are prohibited in the City of Muskego unless the burning is specifically permitted by this article. Rubbish or garbage, including but not limited to food wastes, food wraps, packaging, animal carcasses, paint or painted materials, furniture, composite shingles, construction or demolition debris or other household or business wastes. Waste oil or other oily wastes except used oil burned in a heating device for energy recovery subject to the restrictions in Ch. NR 679, Wis. Adm. Code. Treated or painted wood, including but not limited to plywood, composite wood products or other wood products that are painted, varnished or treated with preservatives. Any plastic material, including but not limited to nylon, PVC, ABS, polystyrene or urethane foam, and synthetic fabrics, plastic films and plastic containers. Newspaper, corrugated cardboard, container board, office paper and other materials that must be recycled in accordance with Chapter 350, Waste Management, Article III, Recycling, of the City Code, except as provided in § 191-27 of this article. All allowed open burning shall be conducted in a safe, nuisance-free manner, when wind and weather conditions are such as to minimize adverse effects and not create a health hazard or a visibility hazard on roadways, railroads, or airfields. Open burning shall be conducted in conformance with all local and state fire protection regulations. Except for barbecue, gas, and charcoal grills, no open burning shall be undertaken during periods when either the Fire Chief or the Wisconsin Department of Natural Resources has issued a burning ban applicable to the area. Open burning of weeds or brush on agricultural lands is allowed if conducted in accordance with other applicable provisions of this article. Fires set for forest, prairie, or wildlife habitat management are allowed with the approval of the Department of Natural Resources. Outdoor campfires and small bonfires for cooking, ceremonies, or recreation are allowed provided that the fire is confined by a control device or structure such as a barrel, fire ring, or fire pit. Bonfires are allowed only if approved by and in accordance with provisions established by the Fire Chief. Burning of trees, limbs, stumps, brush, or weeds for clearing or maintenance of rights-of-way is allowed if approved by the Fire Chief and if in accordance with other provisions of this article. In emergency situations such as natural disasters burning that would otherwise be prohibited is allowed if specifically approved by the Department of Natural Resources. Open burning under this section shall only be conducted at a location at least 15 feet from lot lines. Open burning shall be constantly attended and supervised by a competent person of at least 18 years of age until the fire is extinguished and is cold. The person shall have readily available for use such fire-extinguishing equipment as may be necessary for the total control of the fire. Except for barbecue, gas, and charcoal grills, no burning shall be undertaken within 10 feet from any combustible material, combustible wall or partition, exterior window opening, exit access or exit unless authorized by the Fire Chief. Gas fire pits are exempt. No open burning may be conducted on days when the Department of Natural Resources has declared an air quality watch or air quality advisory for ozone or fine particle pollution applicable to the City of Muskego. The burn barrel shall not be used to burn any of the prohibited materials listed in § 191-23 of this article and may only be used in accordance with the provisions of § 191-24 of this article. The burn barrel shall be located at least 25 feet from the nearest building that is not on the same property as the burn barrel. The burn barrel shall have vent holes above the ash line for combustion air and shall be covered with a heavy wire screen. Notwithstanding §§ 191-22 and 191-23 of this article, the Tess Corners Fire Department may burn a standing building if necessary for firefighting practice and if the practice burn complies with the requirements of the Department of Natural Resources. Notwithstanding § 191-23G of this article, paper and cardboard products may be used as a starter fuel for a fire that is allowed under this article. Small quantities of confidential papers from a residence may be burned if necessary to prevent the theft of financial records, identification, or other confidential information. Confidential papers from a commercial enterprise shall be shredded or destroyed in a manner other than burning. A fire set for burning of a small quantity of confidential papers shall be subject to and comply with § 191-24A, B and G through L of this article. The Fire Chief or any authorized officer, agent, employee, or representative of the City of Muskego who presents credentials may inspect any property for the purpose of ascertaining compliance with the provisions of this article. The penalty for violation of any portion of this article shall be as provided in § 1-4 of this Code.